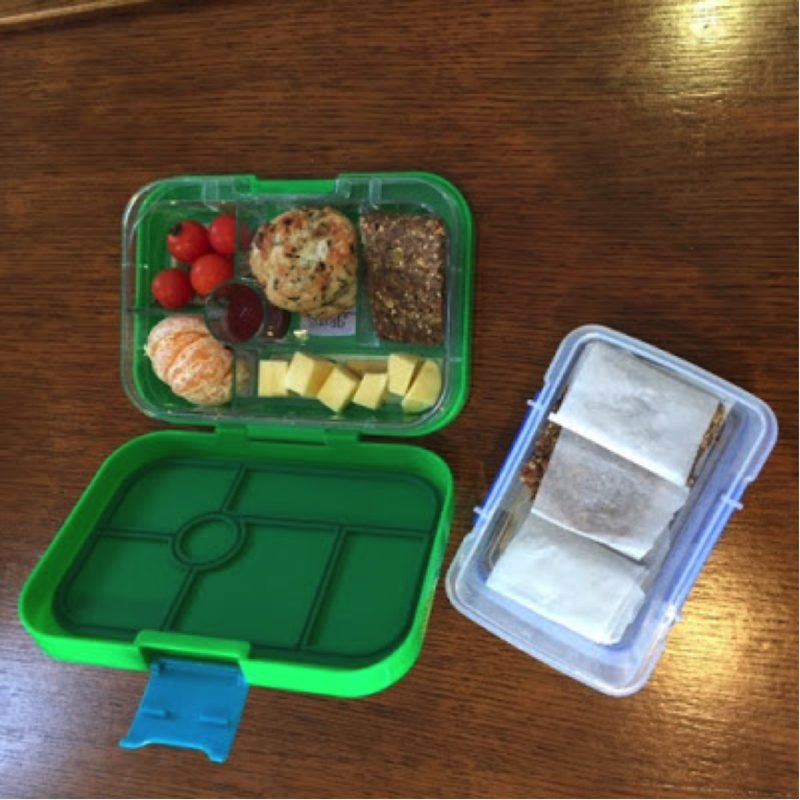 Muesli bars are a popular lunchbox item, but with many containing wheat, honey and/or dried fruit they tend to be high FODMAP and thus avoided on a low FODMAP diet. Interestingly, while muesli bars are often thought of as healthy ‘everyday’ foods, they are often better classified as ‘sometimes’ or ‘treat’ foods, containing lots of sugar – as much as some chocolate bars! These Low FODMAP Muesli Bars (inspired by Georgia Harding’s ‘Healthy No Bake Muesli Bars’ from Well Nourished) are nutrient dense, combining the goodness of oats with sesame, sunflower, pumpkin and flax seeds, and contain just over 1 teaspoon of sugar per serve. They contain no nuts, so can be packed in the lunchbox of children attending schools with a nut-free policy. 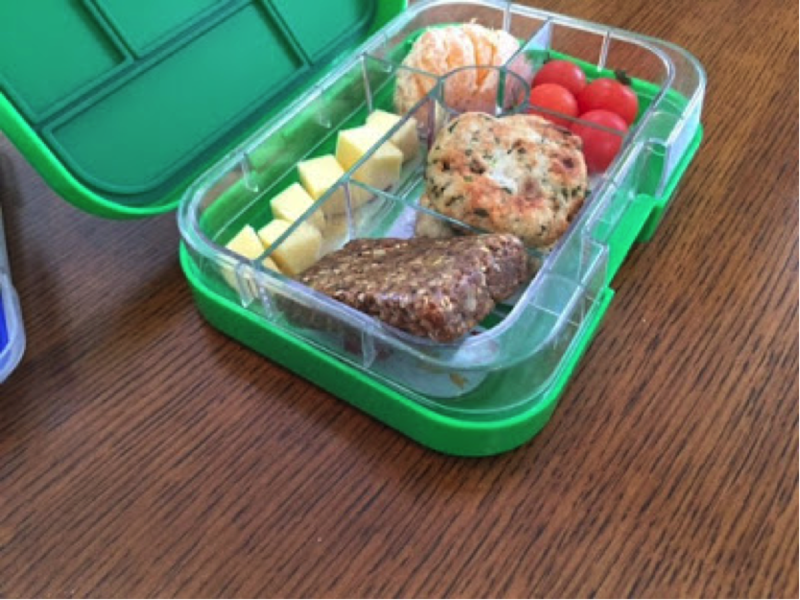 For more tips on packing a Low FODMAP lunchbox, click https://www.monashfodmap.com/blog/tips-for-packing-nutritionally-balanced/. Seeds are nutrient dense – packed full of vitamins (such as B and E), minerals (including iron and zinc), good fats and fibre. They’re low FODMAP and healthy to include on a low FODMAP diet, especially given the restrictions on many fibre-containing foods, including specific/excessive fruits, vegetables, grains, legumes and certain nuts. In a small saucepan, melt and combine olive oil spread, rice malt syrup and cinnamon. In a large non-stick fry pan, combine oats, seeds and coconut and toast over a low heat for approximately 5-10 minutes. Add dry mix to the oil-syrup-cinnamon mix and mix until combined*. Press into a slice tin lined with baking paper and freeze for approximately 20-minutes until set. Cut into squares. I cut the baking paper, lining the tin, into strips and wrap bars individually. * If your child doesn’t like ‘bits’ in their baked goods, use a food processer to combine and break down the mixture. Use this recipe as a base and experiment with adding other low FODMAP ingredients, such as dried cranberries or nuts (check app for details and serving sizes).